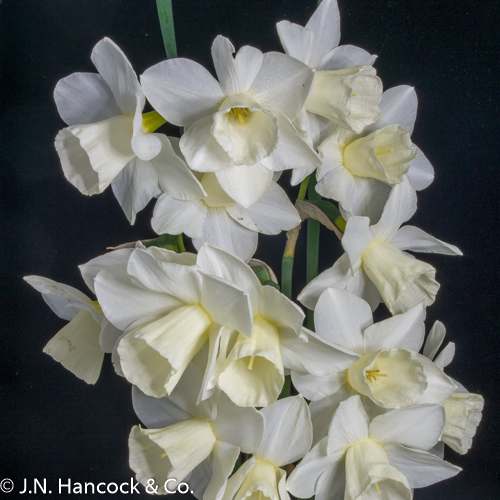 A fine miniature that has 1-3 nicely formed nodding creamy-white flowers. 15cm. Mid.